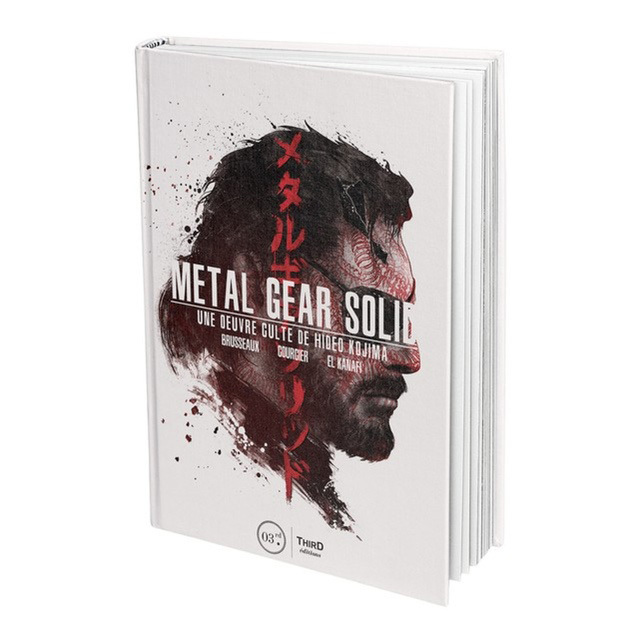 Last month Third Editions, a French publisher making in depth videogame books, announced they would be translating their MGS book, Metal Gear Solid: Hideo Kojima’s cult work, and make it available worldwide. Through Kickstarter they have acquired the necessary funds to do so, and now they have announced they will also be making a collector’s edition version of the Metal Gear Solid book. After having a lot of comment about it, we’re introducing Metal Gear Solid Collector and Bioshock collector. Again, it’s the same as the standard edition but with a variant cover underneath the dust jacket. Limited copies, but this time not limited in time. That means that it’s for sale on preorder (with discount for the backers) and will still be on sale if we got copies left. But once it’s sold out, it’s sold out! As described in the update, the collector’s edition will be exactly the same as the regular version, aside from the different artwork underneath the dust jacket, and it will only limited copies will be available. If you want to swap your normal for this edition, you will have to downgrade your pledge and select the collector’s edition add the ‘Add Ons’ tab. You can order both the regular version (€28) and the collector’s edition (€35) through this page.